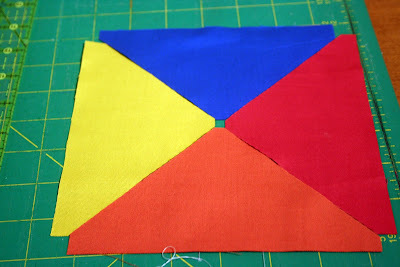 Beach ball block tutorial !!!!!!! This is the excitement with the dots! 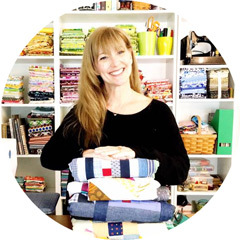 So, that is what started me thinking about baby blankets and how cute beach balls are and how much babies LOVE beach balls so I am going to make a beach ball quilt to donate to this very worthy cause!!!!!! I hope you all enjoy this and feel inspired to make one to donate too! Now you should have these cute guys! Pretty!!!!!!! Do not worry if the center is not perfect it will be covered. This is not a sew perfect quilt. Next, make two 2 inch circles, I used my Accuquilt but they do not have to be perfect either!!!!! I used two different colors to show the front and back. and cut an X in the upper side . Turn inside out and press. Then pin the ball to a ten inch square of your choice!!!!!! Now how easy was that one!!!!!????!!!!! I am hoping to be done with the quilt top by this weekend to share next week. How cute! Looked like fun cutting it with your Accuquilt Circle die! Thanks, Kim! That is soooooo cute! Hi! That is a very happy beach ball! Beby quilt with those is going to be fantastic! Finally I get to read this. :-) Awesome! I think the directions are perfect and photos very helpful! I like how you put the triangles together then cut them in half...and that was genius about assembling the circle, I never would have thought of that!! Really wonderful, and it would also look really cool as a patchwork beach bag!!! I wish I could go to the quilt guild around here! Sew cute! A perfect summer beach quilt! So cute and summery. I wish I had the circle die cut for the AccuQuilt! Ohhh, I so love this- darling! This is so adorable. Thank you so much for sharing how to make one. I'm adding it to my "To Make" list. Every aspect of this jacket seems to bring together manner and function, and the [URL=http://www.thenorthfaceforsale.net/#1020]north face coupon code[/URL] is incredibly strong and excellent high quality. For all of those reasons and extra, the [URL=http://www.thenorthfaceforsale.net/#189]links[/URL] Women's Prism Snow Parka is about as close as you'll be able to get to the perfect wintertime jacket.